Welcome to Steven R. Morris, Attorney at Law. Our firm is known as a North East Alabama personal injury law firm that’s been representing Alabama victims and their families for over 20 years. Maybe this is the first time you’ve considered calling an injury attorney? You’re possibly experiencing pain, discomfort, maybe faced with unexpected medical bills, time off of work and you’re just not sure what to do? If you’re looking for a Personal Injury Lawyer in Alabama, around the Anniston, Wedowee, Jacksonville, Heflin, Valley or anywhere in Calhoun, Cleburne, Randolph or Chambers counties… you’re in the right place. Steve Morris Law is your advocate when you’re needing justice for any wrongdoing that you’ve encountered. With 20 years of experience, our in-depth knowledge, we seek tailor-made, targeted solutions. We focus our practice in the areas of personal injury, wrongful death, product liability, criminal defense, family law and probate administration. Browse through our website to learn more about our legal practice and the areas of law in which we focus. to anyone about your claim. Not Sure What Steps to Take, or What To Do? Follow the steps below before talking to anyone about your claim. It’s critically important to your financial and physical well-being to consult an attorney, no matter what! Even if you’re when dealing with your own insurance company, please trust us… they don’t have YOUR best interest at heart. Our founder, Steve Morris, always says it’s better to be safe and cautious, rather than sorry. The fact is, once you’ve talked to your insurance company, whatever you’ve said… can’t be undone. Step 2 – Consult With an Experienced Alabama Injury Attorney Before Settling With Insurance Company. We get it and we know that the insurance companies will offer you hundreds, maybe thousands of dollars to settle. But once you do… you’ve surrendered your rights! We also understand that money they’re tempting you with may really come in handy right now to cover medical bills, rent, and other living expenses. However, because you’re an unrepresented individual, you are extremely vulnerable to settling quickly and for nowhere nearly enough money. You’re honest and probably expect the best from everyone. All to often we hear someone say something along these lines… “But all I told them was the truth.” We hear it all the time. Of course, we expect you’ll tell the truth, but our goal, and quite frankly our job, is to protect and represent you first. Every insurance company’s first obligation is to itself and its share holders… not you. Even the most educated, and most clever person is no match for the armies of councilors dedicated to protecting the insurance company’s interest. Insurance companies are very large, very sophisticated, well-funded and know the loopholes and laws. They all share data and they have hundreds of lawyers in different departments and regions. I can promise you they’ll tell you anything and everything to get you to settle without getting a car accident lawyer or injury attorney in Alabama involved. Our law office understands that when people hire an attorney, they are often experiencing very stressful situations. These people need someone who cares about them. It’s important for all of us to remember that driving is a privilege and not a right. We should drive with courtesy and care, making sure we act responsibly. If you find yourself injured in a car accident because the other driver was being negligent, you’ll typically be able to take legal action, filing an auto accident injury claim. Our Alabama injury law firm can help you, as a victim gather evidence and prove negligence against the other, at fault driver. Everyday serious injuries are being cause by product defects. Such defects include: Failure to properly warn consumer, design defects, manufacturing defects, etc. When filing a product liability claim, you must determine which type of defect caused harm to the victim. Depending on the type of defect, it’s also possible to hold others liable; manufactures, product’s designers or distributors. Our product liability attorneys can help. Riding a motorcycle can be a dangerous undertaking. As traffic volume increases on our roads, it becomes more and more difficult for motorists to see you on your bike. Motorcycle accidents are on the increase. Even if it is the motorist’s fault, as the motorcyclist, you’re usually the party that ends up severely injured. If you’ve suffered severe injury due to a motorcycle accident, call our Alabama motorcycle injury attorneys. In most cases, we’ll be able to help you recover compensation for these injuries, from the negligent motorist. A wrongful death caused by someone else’s negligence can create unimaginable pain for surviving family members. 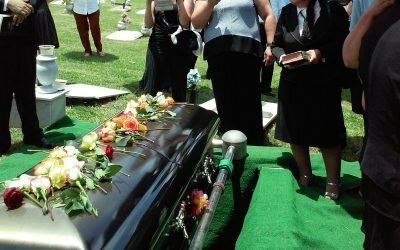 Surviving family members such as a spouse, child, parent or even a representative of the victim’s estate may be able to bring a wrongful death lawsuit against the negligent party. No amount of money can bring a loved one back but recovering fair compensation can help in the family’s future recovery. Our wrongful death law firm in Alabama will be able to assess your case to see if you have a legitimate claim. 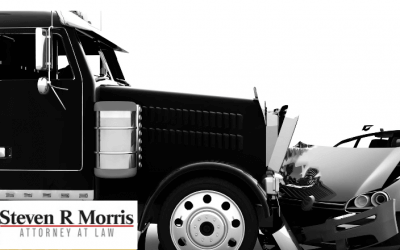 If you’ve been injured due to a truck driver’s fault, we highly advise you to contact Steve Morris, as he’s an expert Alabama truck accident lawyer. Truck accidents can occur for a variety of reasons; driver fatigue, distracted driving, intoxicated driving, and improper maintenance. 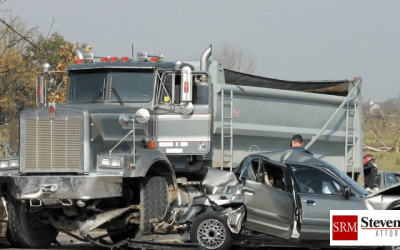 In this type accident, you may also be able to sue a third party in addition to the truck driver. Let Steve help you identify all responsible parties, so we can hold them accountable. You trust that your prescribed medications are safe when you take them. They should be. Sometimes, the drugs you count on to reduce pain and improve your life can be defective and have devastating effects. These effects can not only be harmful or deadly to you… but in certain cases, the devastating effects can be passed on to an unborn child. For example, Depakote has been linked to birth defects in children born to mothers prescribed during pregnancy. We can represent you as your defective drug attorney.